Results: 1 to 10 of a total of 70 results. I want to eat a healthier diet I cook for one so I can afford to buy organic. It is healthier to eliminate preservatives and additives from my diet. My adult daughter is a vegetarian, so I try to eat her way often and comepare recipes. Virgo/Aries8 Why eat organic? Why eat pesticides, fertilizer nitrates, growth hormones? Does yrriah belong in this group? I love Organic Food ! ! ! I eat organic whenever I can eat it. Its better for ones heatlh. I like to learn about how to grow organic food like Bio-dynamic foods. 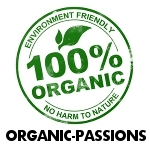 Topics on organic I love. Does treeowl belong in this group?